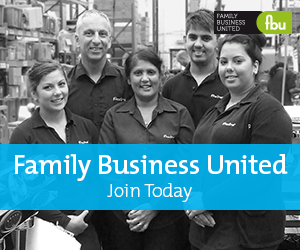 Succession planning is always on the family business agenda. However, it can be one of the hardest conversations to have because it involves people letting go and handing over responsibilities. As one of life’s inevitabilities, succession planning is always on the family business agenda. However, it can be one of the hardest conversations to have because it involves people letting go and handing over responsibilities. One of the most important things to remember is that ownership and management succession must be treated differently. Ownership succession is all about owning shares in the family firm whereas management succession raises questions about who should take over the helm. This article looks at the challenges around management succession and the family business and how to ensure the process is as smooth as possible. It’s important to exercise care right from the outset to select the management team that are fit for the future and not just today. Successful family firms are those that embrace change and innovate to remain relevant to their stakeholders. As a general rule, the sooner the process begins the better. Initially, the decision needs to be made whether the next generation of management should be a member of the family. If not what would be the impact on the underlying values and positioning of the family. A broad timetable also needs to be put in place, taking into account a period of transition. Ideally there will be a date to work towards that clearly states the change in leadership to all stakeholders. Each family is different, but whilst transition is a process and not always an easy one, it can, however, be broken down into a number of key steps. Once the timetable has been set and the business has identified the key skills required and any training needs, then the selection of candidates can begin. If you want to be keep management within the family, current leaders need to identify candidates from the next generation. This means choosing from their own children and potentially nieces and nephews, so the emotional dynamic of this selection process shouldn’t be under-estimated. In this case, independent input can be a great help. However, if non-family candidates are the preferred option then clear roles, responsibilities and incentive schemes need to be decided and put on the table to attract the right people for the roles. An advantage of having family members succeed management is that they most likely been involved in the business for a long time. In many cases though, family firms encourage their next generation to work elsewhere before returning to roles in the family firm, but problems can arise if they decide not to come back as they see their future outside the family business. Often open and honest conversations aren’t held until the succession process is formally put on the table, which can be too late. Inevitably, change at the top can lead to a period of uncertainty both internally with staff and management and externally with business partners. After the transition it is a good idea to put in place PR and relationship plans to smooth over any issues and to introduce the new leader to key customers, suppliers and contacts. It’s also important to make sure a clear set of rules for operation and interaction between the board and the family have been set. Family relationships are not always in sync with the needs of the business and these areas need to be managed appropriately. Planning helps, as does conversation, and it is always useful to get an external perspective too because many other family firms have been through similar processes and can provide a valuable source of ideas, examples and insights to ensure a successful transition. Once the transition has been implemented, regular reviews are needed and essentially the process starts all over again!